What do I absolutely need in a computer under $1,000? What are acceptable trade offs in this price range? What do I get if I spend over $1,000? When buying a laptop, you get what you pay for. Thus increasing the price of a laptop usually means a significant boost in quality. With that said, let’s take a look at a list of the eight current best laptop under $1000 available on the market! When sticking to a tight budget is less of a concern, you have more room to find extra features packed in with high end specs. To get the most value for your money, you need to ask yourself what options are most appealing to you. What features do you think you’ll actually use regularly, and which are window dressing that can be skipped? Hybrid laptops that flip around like a tablet are plentiful at this price point. Do you actually intend to use that feature on a regular basis, though, or do you want a traditional computer design? From super lightweight 13 inch touch screens to full 15 inch clamshell notebooks and beyond, one of our eight contenders below should be exactly what you need! What do I get if I spend more than $1,000? 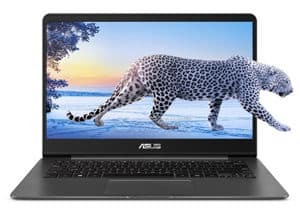 As of mid-2018, there are three main laptops you should be looking at if you intend to spend under a grand. 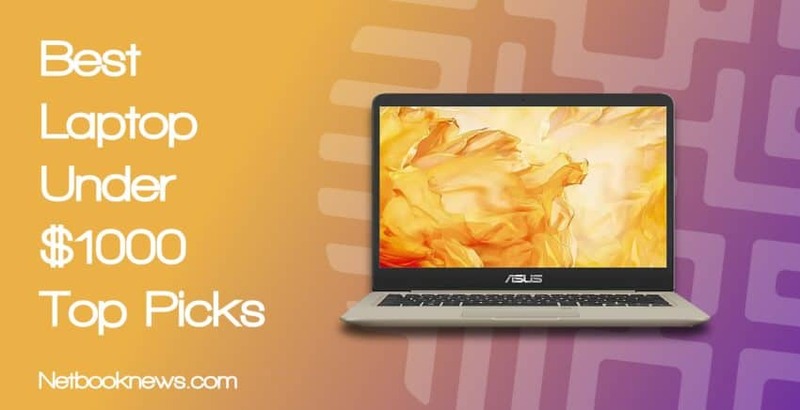 First and foremost is the Asus ZenBook, which packs very high end specs into a super light 14 inch package. 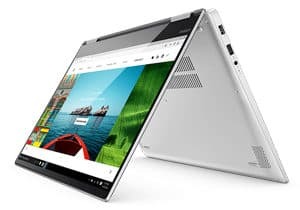 For those who need a touch screen and prefer a 2-in-1 laptop, your best pick is probably the Lenovo Yoga 720 instead. Finally, if you want a business class machine that also doubles as a decent gaming rig, be sure to take a look at the Acer Aspire 7 for the most graphical power! Still prefer the standard clamshell laptop over any sort of touch screen hybrid design? This is easily your best choice in terms of specs and portability. At a high price point of nearly a full thousand dollars, you want excellent specs, high quality, and a few extra perks. With this model, the perk is in the extreme portability. The ZenBook manages to fit a 14 inch screen in a 13.3 inch chassis, resulting in a light and small device. The engineering feat is achieved with the nano edge bezel, so you don’t lose out on any screen size due to the bezel protruding into the sides. At under three pounds, you still get a very spacious solid state drive and a full 16GB of RAM. Coupled with the 8th gen processor, this is a beast of a machine that can handle any non-gaming tasks with ease. Of course, no portable computer is ever going to be perfect, and there are a few issues that buyers bring up in their reviews. Due to its compact design, this unit can’t be upgraded, so you won’t ever get more RAM down the line. Most users also report a phenomena known as “coil whine,” which is prevalent with super thin models of this style. Essentially, its an electronic buzzing that occurs from time to time due to all the parts vibrating close together. The sound level is about on par with a fan from a traditional laptop, so this may not actually bother you if you’ve had a louder computer before. 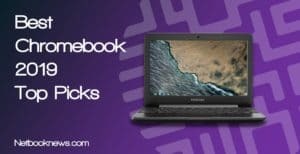 Finally, this particular ZenBook doesn’t feature an international warranty, so this may not be your best option if you are outside the United States. Want to try out a hybrid 2-in-1 laptop but stay with the typical 15 inch screen? Lenovo’s Yoga is a great way to get the best of both worlds! You are going to see us talk about 2-in-1 machines quite a bit at PortableMonkey. They may not be everyone’s cup of tea, but this new hybrid design is quickly overtaking the standard laptop style. Lenovo’s Yoga gives you a full notebook computer that can swivel 360 degrees into multiple configurations. From tent mode for watching Netflix to tablet mode for tapping apps, you can just simply do more with a hybrid machine. Best of all, this one is under an inch thick when fully closed and lighter than your standard laptop. Even with that thinner design, there’s still a full size 15 inch screen, so you don’t have to compromise on the viewing area. There is one potential issue to look out for with this model, however. Despite the fact that this is a full 15 inch laptop, the keyboard is in the more compact 13 inch style. That means there’s no 10 key feature and the keys are closer together than you may be comfortable with if you’ve only used larger laptops in the past. If you don’t care for the keyboard layout, there are other options from Lenovo. Oddly enough the smaller 14 inch Lenovo Yoga from 2017 actually has a keyboard that’s closer to the standard laptop layout. Looking for a gigantic screen but still want a touch display and hybrid 2-in-1 machine? This should absolutely be your pick for the best overall laptop! 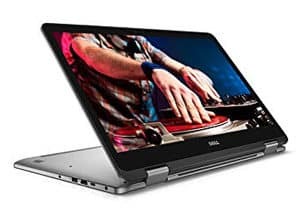 Dell’s 2018 rendition of the Inspiron 7000 is real oddity in the realm of high end laptops. This is a hybrid 2-in-1 machine, but it doesn’t give up any space real estate at all. Even with the touch screen and 360 degree rotating hinge, it still packs a massive 17 inch display! This model even manages to throw in the full keyboard with a 10 key section, which is very rare in hybrid computers. Since this is a larger laptop than normal, there’s room for a dedicated graphics card and plenty of starting RAM. When you get amazing specs in one area, of course you’ll take a hit somewhere else. That’s the case with the hard drive, which has some major pros and cons. The 2TB drive offers a ludicrous amount of storage space for docs, videos, work projects, and so on. Unfortunately this model comes with a standard hard disk though, instead of a solid state drive. The end result there is that the boot up speed will be slightly slower than our other contenders. The only other potential downside to know about here is the weight. The Inspiron is much heavier than most 13 inch 2-in-1 devices, so it is a little unwieldy to hold in tablet mode. 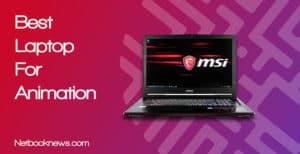 Want the capabilities of a gaming machine with the style of a business laptop? 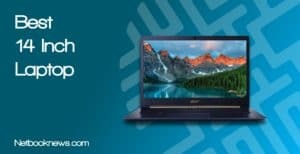 The Acer Aspire 7 should be your pick! Some users want a portable computer that can do more than just spreadsheets and Netflix. If that describes you, be sure to take careful note of Acer’s casual gaming laptop. 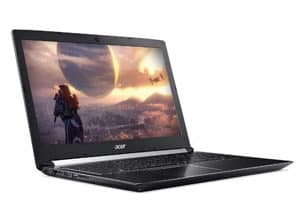 A few of our other contenders at this price point include a dedicated graphics cards, but none are as focused on gaming as the Acer Aspire 7. Here’s what reviewers typically love about this machine — although this is absolutely a gaming computer, it doesn’t look like one. The overall clamshell design is just like you’d expect to see from a typical business or college student machine. Plus, you still extra features like the fingerprint reader. Five pounds is about the standard for a typical clamshell laptop. That’s not too heavy or too light, but if you prefer something more portable, look at some of our other contenders instead. Since this is a gaming clamshell style laptop, it’s constructed with future upgrades in mind. There are two hard drive slots, so if you want to swap out to a bigger SSD later on that’s easily handled. The main complaint from buyers is that this model runs fairly hot while plugged in and gaming. Be sure to set it on your desk and not on your lap when playing rounds of Fortnite instead of emailing your boss! Want a super sleek and light hybrid device? If you need the full Windows 10 experience in more of a tablet form, this should absolutely be your pick for the best laptop! This is a totally different machine altogether than our previous Dell contender back up in position #3. When you want a sleek, lightweight design with portability in mind, this is your go-to pick. In terms of overall specs, this Inspiron destroys the competition and outclasses most other 13 inch devices. Besides the 16GB of memory, one of the biggest selling points is the massive solid state drive storage capacity. Of course you won’t get an optical drive with a machine that has such a slim profile. The Inspiron doesn’t lack in ports for connecting peripherals, with HDMI, USB, and SD all available. The most frequent complaint from buyers is that the battery life isn’t nearly as long as advertised. Unless you turn down the brightness and tweak a few settings, don’t expect more than about 3 hours of battery life. The 13 inch version of the Inspiron will run you just a few pennies under a full thousand dollars. If you don’t need 512GB of storage space, you can save yourself $100 by downgrading to the 256GB version. 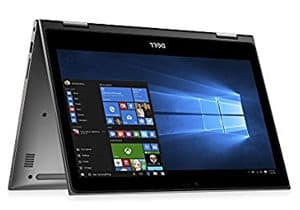 Looking for a hybrid laptop with absolutely amazing screen quality? This HP model should be your pick! We’ve listed several 2-in-1 laptops in our contenders for the best notebook under $1,000. 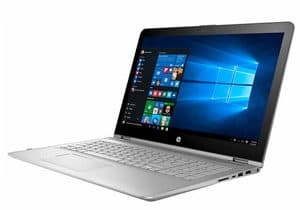 HP’s Envy makes a few trade offs on specs and design features that may make it worth considering over the other options. What you get overall is quite close to our other contenders, with a few tweaks. Instead of a full 16GB of RAM, you get slightly less with 12GB instead. The hard drive has a larger capacity at 1TB, but it is the slower HDD design instead of a solid state drive. Despite those downsides, there are still some clear reasons to go with this device over any other. First up, you get the hybrid 2-in-1 touch screen design with a full 15 inch display. That display is one of the main selling points, Buyers constantly rave about the clarity of the screen. The keyboard is also backlit, so you get a full laptop experience in a hybrid device. Finally, this HP model tends to run a little less expensive than other contenders. If you want to save yourself $50 – $60 for buying peripherals, this is a great way to go. Need a professional laptop for work that’s unbelievably slim and lightweight? The LG Gram should be one of your top picks! There are a staggering number of options in laptops today, and not everyone loves a touch screen. If you are in that boat but still want an ultra thin device, the LG should be one of your top contenders. At slightly over two pounds, there are very few machines out there that even come close on the weight. Of course the overall profile is incredibly slim as well, so this is one of the most portable devices on the market right now. To achieve such a thin style, you do take a hit on the specs, however. LG’s Gram has noticeably less RAM and a slower processor than our other contenders. Due to the tiny design, there’s no built- in optical drive or fingerprint reader, either. In exchange, you get absurdly high battery life of up to 22 hours for normal office usage! The battery life and low weight are the two key features most often mentioned by reviewers. There is one issue to keep in mind with the keyboard, however. Due to the slim design, there’s no 10 key section, and no FN key on the right side of the keyboard. If you don’t care about those features though, it’s hard to find a better ultra portable notebook. Want to stick with an Apple device instead of going with a Microsoft Windows machines? This should be your pick for the best laptop in the price range! Not a fan of Windows 10 and prefer the Mac OS instead? 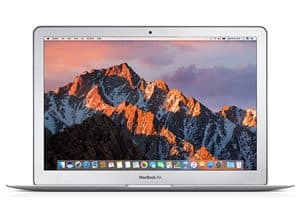 You’ve still got options for a great laptop in this price range by looking at the MacBook Air series. The big draw here, besides the more secure operating system, is the high quality screen. This model features what Apple refers to as a “retina” style display. Essentially, that means the pixel resolution is dense enough that you can’t make out individual pixels at normal eye distance. For a smooth and crisp viewing experience, that’s a huge plus. With Thunderbolt, USB 3.0, and card reader ports, you aren’t lacking in options for connecting storage or external devices. Unfortunately, this version of the MacBook Air isn’t quite up to par on the specs as some of our other picks. In particular, the processor isn’t quite as fast our other contenders. You can upgrade this model to an i7 at 2.2GHz before checking out at Amazon, but it will add another $500 to the asking price. Before getting into memory, processor speed, and storage capacity, there are two main issues you want to consider. Specifically, what are the build quality and longevity of the laptop? 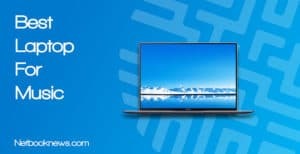 It isn’t hard to find a computer with an 8th gen processor and 8 – 16GB of RAM at well under this price range. If you are going to drop more than $900 on a computer, it needs to last. Always take a look at the reviews, and specifically be on the lookout for reviewers mentioning how long they’ve owned the machine. Some reviewers will give 5 stars after having a computer for a day, while others wait 8 months to a year or longer. Those longer time period reviews will be much more helpful in determining if a particular model is still going to work properly after extended usage. Hinges break, screens lose quality, and fans get noisy over time if manufacturers skimp on the build quality. When you know whether a $900+ portable computer is going to last long enough to be worth the investment, next up is time to consider the specs. At this price point, you typically want a top-of-the-line processor and a minimum of 16GB of memory. There a few possible exceptions however, as noted below. Each manufacturer focuses on a different set of specifications in each price range. Some will give you more processor speed, while others will go for battery life, storage capacity, and so on. In general, you should only be willing to drop down to 8GB of RAM if there’s a very compelling trade off. Getting a high end dedicated graphics card for gaming is one such reason, as is finding a 2-in-1 device with a larger screen. When you get close to a thousand dollars in your initial investment, a solid state drive is almost always the way to go. Solid state drives are always going to be faster than their HDD counterparts, but unfortunately they tend to have smaller storage space.For the cost of a 256GB SSD, you could get a full 1TB of hard drive space for instance. If you haven’t used an SSD before and wouldn’t notice the difference in speed anyway, you can save some money by picking an HDD model. If you decide to dip a little deeper into the bank account, there are some very attractive features to be found in any given laptop. In general, you’ll get similar specs, but without any trade offs. For instance, you may find a full size 2-in-1 touch screen model with the best processor and most RAM. There won’t be any reduction in the specs on any end. 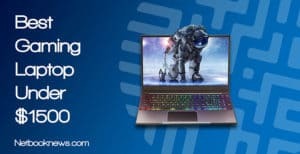 Besides features like touch screen functionality, any laptop in the $1,000 – $1,500 range is usually going to be meant for gaming. These devices typically put in dedicated graphics cards with much higher processing ability. That means you can either run high end engineering software, or play cutting edge games at very high graphics settings. If you don’t need those features and primarily use your computer for school, work, or web browsing, there isn’t much reason to spend that amount of money. 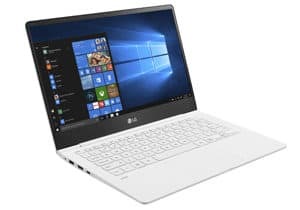 The only potential reason to spend more if you don’t play games is to get high end specs in an ultrabook that is more portable than the typical laptop. Did we help you find the best laptop under $1,000 for your needs? Let us know what you think of our picks, and be sure to leave a comment if you end up buying one of these contenders!